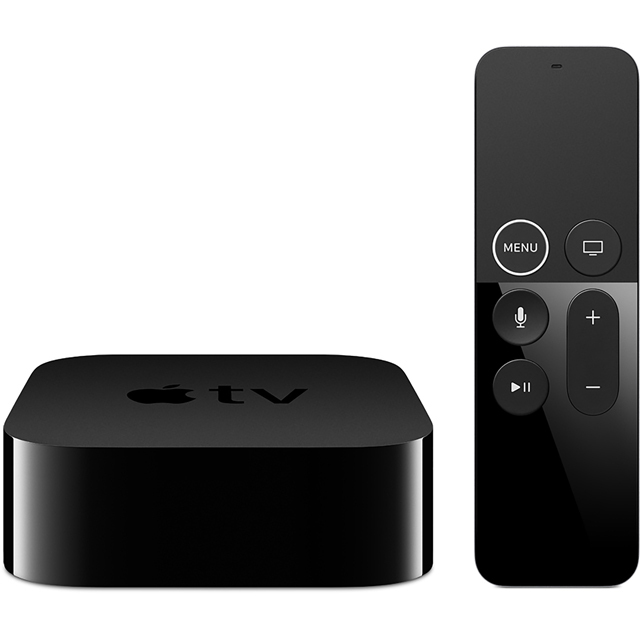 Get the ultimate viewing experience with this 32GB 4K Apple TV box. It can access a whole host of apps and streaming services, giving you plenty of entertainment, and will stream them all in 4K quality for breathtaking images. You can access Apple’s app store from within the device, so you can download new services, or even purchase shows and films from iTunes directly. There’s no need to hunt down the back of the sofa for the remote as you can use your iOS device for control - just connect to your WiFi and you’re ready to go. I am very impressed by this little box. Not only does it support both Dolby Atmos and Vision but it is very quick to jump from one app to another. I did have problems setting up an iTunes account but rang Apple who then rang me back and sorted everything out for me. No question, if you are looking for a smart streaming box then this is the one. Apple TVs are user friendly, have all the entertainment apps you could want and tuck away behind your tv so you don't even know they're there. They look good, so if you can have them on display if you wish. They work well in conjunction with other apple TVs and devices and only a quick restart every few weeks in the event they crash which takes all of 10 seconds. Brilliant device for all the family bringing all of your viewing wants into one convenient box. The service from ao.com was fantastic as usual. Good price and quick delivery. Overall, this product is very well built and designed to facilitate the modern era of TV. Unique in its’ class whilst providing the best home experience on the market.